Judge Steve Grasty declined to run for re-election. When Ammon Bundy came to Harney County in January, he emphasized the importance of local control. 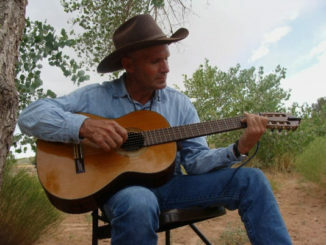 Now, even with Bundy and more than a dozen others who joined him in the occupation of the Malheur National Wildlife Refuge behind bars, it appears some have taken up his call. With three days to go until the filing deadline for the May 17 primary election, eight people have jumped into the race for a single seat on the county’s three-member County Court, the most crowded race in recent memory according to County Clerk Derrin Robinson. It’s not just the race for County Court, which functions as the county commission in Harney and a handful of other rural Oregon counties. Three people signed up to run for county judge — the chairperson of the court — when sitting Judge Steve Grasty declined to run for re-election. Harney County Sheriff David Ward, who along with Grasty was one of the most visible local faces throughout the occupation saga, has drawn a challenger, and two candidates are vying for the position of district attorney. The only candidate not facing a contested race in May is Robinson, who, incidentally, is responsible for running the election. Friday, Robinson said his office was getting a head start on moving around the furniture in anticipation of Election Day, when he expects his small office will be crowded with representatives of the different campaigns appointed to observe the vote-counting process. Unless a single candidate earns more than 50 percent of the vote in the May primary and wins outright, the top two candidates in the county judge and commissioner races would compete in a runoff in the Nov. 8 election. County judge candidate Pete Runnels is currently a county commissioner. Now two years into a second four-year term, he filed for the judge seat in September. Runnels said the occupation and the issue of local control have spurred a level of interest in county races not seen in past years. “There’s some folks, I don’t want to say ‘overthrow the federal government,’ but the direction they want to go, I’m not sure it would be legal,” he said. Runnels said he believes collaborative efforts can be productive in addressing land use issues like those raised during the occupation, but citizens need to get involved. He recalled the development of the Comprehensive Conservation Plan developed for the Malheur refuge, put in place about four years ago after years of work by the local and federal governments, and the environmental and ranching communities. When the plan moved to the public comment period, Runnels said only one local resident came forward to offer input. 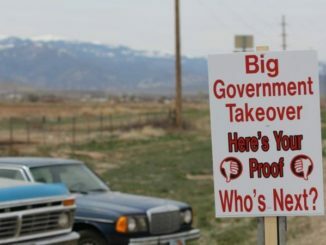 “Dealing with the fed, collaboration’s unfortunately the only way forward, because if you deal with public land, that includes everybody across the United States,” he said. Shana Withee joined the race for the County Court race in November, one of three candidates who began running before the occupation. 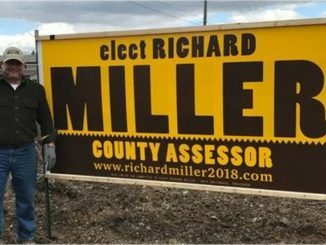 Richard Miller For Assessor, The Smart Choice! This makes me very happy. 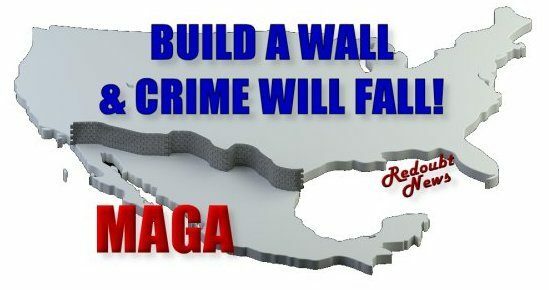 The citizens are starting to take their county back!